Lately, I seem to have a knack of picking books that don’t satisfy me. My last few reviews have been all over the place. Maybe it’s me. (deep sigh) This book is a mystery. The main character is an ex-FBI profiler named Gregor Demarkian. He is called in as a consultant on hard to solve cases. 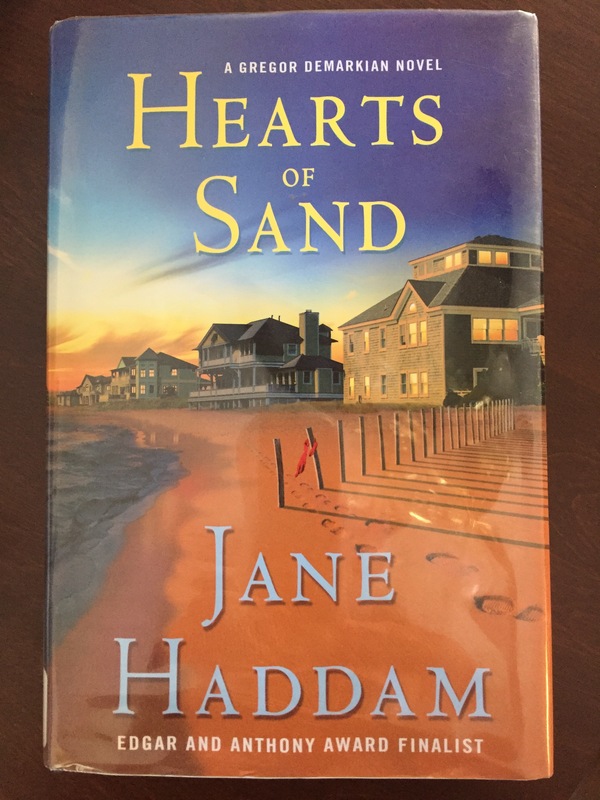 Jane Haddam has written a whole series of books with this character. Each novel is a stand alone however characters from the books appear in each novel. Gregor is called in by the town of Alwych Connecticut, a rich enclave, to investigate the murder of Chapin Waring, a fugitive of thirty years wanted for a series of bank robberies that ended with the death of two innocent bystanders. Chapin is found dead, stabbed in the back, in her childhood home. There had been sightings of her over the years in Alwych, but they were written off and generally disbelieved. Her accomplice, and one of her inner circle of friends, Marty Veer was killed in a car crash just before Chapin was forced to go on the run. I thought, this sounds really interesting, cold case detecting, kind of. Several times throughout the story the author makes a point, through Gregor, of telling us that Chapin’s history as a crook, has no bearing on her murder, yet everyone else, the police, Chapins’s old friends, the locals, etc. talk about the murder as if they are inextricably linked. Every time Gregor said it, I grew aggravated. I got it. Some of the clues that were dropped were sort of…clunky. The depiction of the police department being more for show with an incompetent police chief who was more worried about the image of his department and pleasing the rich residents, felt a little shallow. There is a particular scene where Gregor questions the two local detectives about the recent murder and I knew exactly what he was going to say to them and where he was leading them. The implication here is that incompetence abounds within the police force. I don’t enjoy such a simple, cut and dry depiction of characters. There is another scene where Gregor is approached by the mayor, Evaline Veer, (Marty’s sister), and she proceeds to engage in conversation with him, dropping some big hints about the direction of the story. Thirty years ago everyone had been thoroughly investigated, and all leads had been followed up on, yet Gregor is able to interview one person, who had been interviewed by the Feds in the past, and get a new lead/confession. Did I figure out who the murderer was? I hate to admit it but I grew impatient and skipped to the end, then made myself go back and read the rest of the book. I enjoy mysteries for their slower pace, but in this case especially in the beginning I got confused. Gregor visits Father Tibor, a long standing character, so they can discuss a housing fraud issue. (Which is not relevant to this murder mystery at all. I assume it’s a lead-in to another book or the author’s way of relaying her thoughts on the housing crisis, although financial fraud is touched on in other areas of this story.) Then he travels to see a Patrick Halligan who lives just outside Philadelphia. Then he travels to New York to see Darcy Fitzgerald at the FBI office, then he makes it to Connecticut. In between his trip to Patrick’s he stops home. It was confusing to read. The description of Gregor was limited. Occasionally, someone would comment that he was over six foot three and imposing. Part of the fun of a good series is meeting all the continuing characters, Gregor’s wife, his good friend Father Tibor, his neighbors, and the sisters who run the restaurant, the Ararat. I would like to experience more of the Armenian community that is Gregor’s world. Not being a long standing reader of the series, I didn’t know the histories and intricacies of their lives. This book was light on Gregor’s personal affairs. Overall the book was easy enough to read. It wasn’t bogged down with technical investigative procedures. I’m going to try another book in the series. If anyone has read this series and would like to recommend a favorite, please comment below. I give this book three stars.